I was sitting around the dinner table with my family last week when the subject of social media came up in conversation. My aunt told us about a video she saw on Facebook about two dogs who wore clown costumes and went trick or treating. My baby sister mentioned that this would be the year our parents finally let her get a Twitter account. And I being the lover of Instagram that I am, mentioned that my family should join the photo sharing platform. My uncle owns a furniture store and quickly told me that he had been considering using the app to show off his merchandise but he wasn’t so sure about the benefits. So when he asked me, “does my business need Instagram?” I thought I would share my input. Instagram is a photo and video sharing platform, perfect for showing products without appearing to be just another advertisement. Not to mention, some of the largest brands on Instagram range from Nike to National Geographic to Victoria’s Secret. 70% of Instagramers have already looked for a brand on Instagram and 41% say they would follow a brand to benefit from special offers. Are you getting excited yet? When I joined Instagram back in 2012, I automatically fell in love with the simplicity of the filters, square formatting, and the fact that this wasn’t another Facebook. I mean, who really needs more political statuses in their life? And apparently I wasn’t the only one who took notice. As the statistics show with staggering numbers, there are over 400 million active users monthly. That equals out to 75 million daily users! That is a lot of liking, posting, and following that your business could capitalize on. Most of the resistance from using Instagram for business comes from the fact that the demographic is young at 73% aged 18-34 years old. While this might be a deterrent for some, I believe this is a grand opportunity. Who will be the next generation of purchasers? The millennials (born between the 80s-early 2000s) have an estimated $2.45 trillion in wallet power according to Forbes. Millennials look to the web for product reviews before making purchases and when they love a product, they share it with everyone on their social media circle. What could be better than a shopper posting a photo to Instagram of your product with an enthusiastic tagline and hashtag? Forbes also tells us that Millennials are the top buyers on Small Business Saturday, spending more with local businesses than with large corporations. Millennials are most likely to form a connection to brands who interact with them on social media. That means your small business can greatly benefit from having an Instagram hashtag for your consumers to use and feel more attached to your brand. Not only giving you a direct line to your customers but creating brand ambassadors, for free! It is an exciting time to be a small business in a digital world. When you think growing your business, think Instagram. Its quick, its simple, and it is effective. 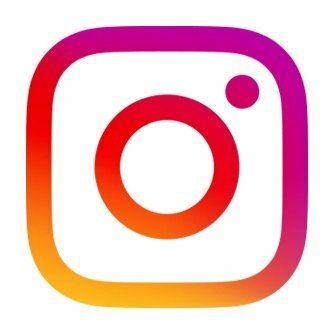 Whether you are a furniture shop in small town Alabama or you are an up and coming fashion boutique in downtown Los Angeles, you can benefit from using Instagram. So go get busy liking, commenting, and posting!